Happy World Theatre Day! Today is all about recognising what theatres can do for individuals, the community, and the economy – so we wanted to tell you a bit more about just some of the things that go on in and around The Old Vic that you don’t see on our stage. The Creative Industries are the fastest growing industry in the UK economy accounting for 1 in 11 jobs across the UK and we are determined to support artists of tomorrow from school and beyond. We want to keep bringing new voices into the mix and make space for emerging artists of all ages. 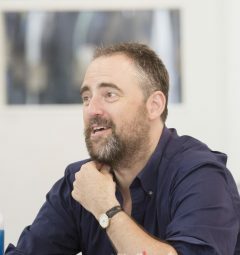 We’re in our fourth year of The Old Vic 12, nurturing twelve theatre practitioners for twelve months through masterclasses, collaboration and mentoring – meet the class of 2018/19 here. In January & February of this year we curated career development workshops with the brilliant Rikki Beadle-Blair (MBE) including some workshops exclusively for emerging artists over 35. Over 800 artists attended the sessions and we hope to be running similar sessions again soon… Watch this space and keep up to date with new workshops here. We do as much work as possible with young people too – giving them the opportunity to try something new and experience a variety of career options. Schools Club is entering its 10th year, providing free tickets and workshops for up to 1,200 children every year across London. 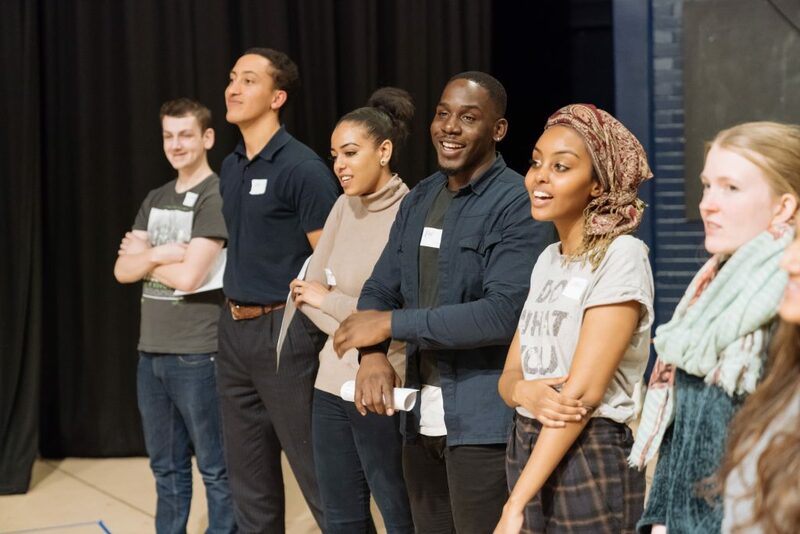 Front Line gives 16-25 year olds the chance to learn more about careers in theatre through a paid placement with our Front of House team while Front Line Facilitators offers hands-on experience in leadership skills and communication. 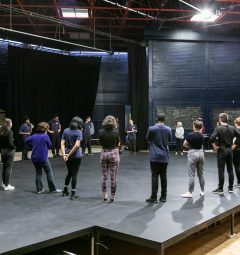 Using the hashtag #OVConnect we run Twitter networking sessions for theatre creatives – and we’re excited to announce that our next session will be in one week –Wed 03 Apr! Just search the hashtag from 12 noon that day to get involved. We’re a registered charity and we get no regular public subsidy – so we don’t have to do any of these things, but with 200 years of daring and transformative history behind us, we want to keep pushing boundaries. Which is why we work tirelessly to raise the additional £3.9 million we need to keep projects like this going. You can find out more about how you can support our work here.